AS 50 has been experiencing a SYN attack on TCP port 179 (BGP). In order to protect the router, configure R5 so that it accepts BGP packets only from its directly connected neighbor. These attacks must have their TTL higher than 1 in order to reach AS 50. Due to the volatile behavior of BGP paths, the attacker will find it very difficult or almost impossible to calculate their TTL value to be 1 when delivered to our router. The configuration must be done on both neighbors (R3 and R5). Pic. 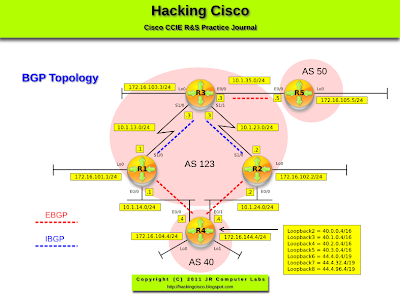 2 - BGP Details on R3. Pic. 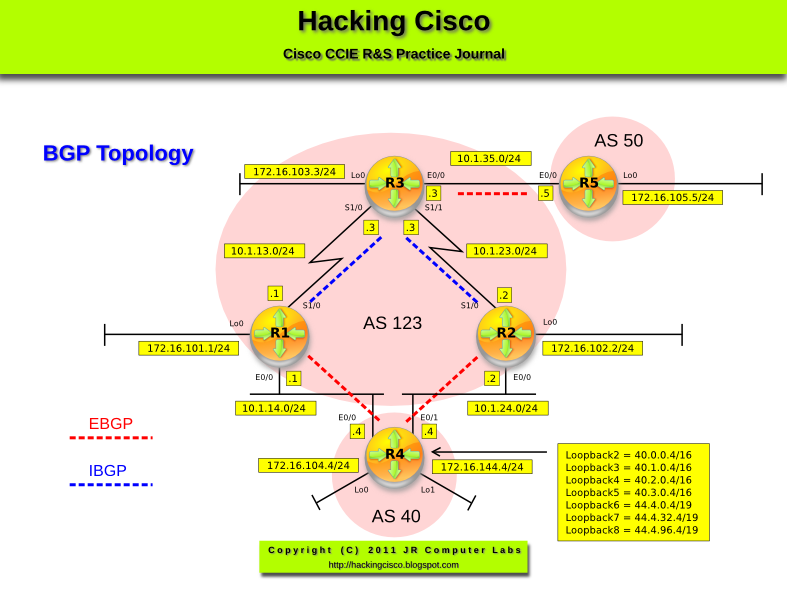 3 - BGP Details on R5.